Herbert Bareuther was born on 29 July 1914 at Asch in Egerland. He joined the Luftwaffe at the beginning of 1939. In spring 1941, Bareuther was posted to JG 51. Unteroffizier Bareuther was assigned to 3./JG 51. He gained his first victory over the Eastern front on 22 June, when he shot down a Russian DB-3 twin-engine bomber. By the end of 1941 he had increased his victory total to nine. Bareuther was then much involved flying ground support and fighter-bomber missions occassioning little opportunity for aerial combat. He also undertook a long period of fighter pilot instructing. 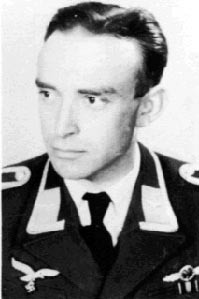 In summer 1944, Bareuther was promoted to the rank of Leutnant. By the middle of August 1944, Bareuther had 44 victories to his credit when he was shot down in aerial combat over Warsaw. He baled out wounded but was captured by partisans. He was freed by German troops some time later. In February 1945, Bareuther returned to combat duty serving with IV./JG 3 based on the Eastern front. Bareuther gained his last eleven victories with this unit. In mid-April, Bareuther was appointed Staffelkapitän of 14./JG 3. On 30 April 1945, Bareuther was hit by Russian flak while undertaking a ground support mission in the Pasewalk area. His aircraft hit a tree and he was killed in the subsequent crash.  Leutnant Bareuther was awarded the Ritterkreuz on 5 May 1945. Herbert Bareuther was credited with 55 victories. All his victories were recorded over the Eastern front. 11:25 Yak-9 3./JG 51 05 169: tiefst. 17:25 Il-2 3./JG 51 05 461: tiefst.